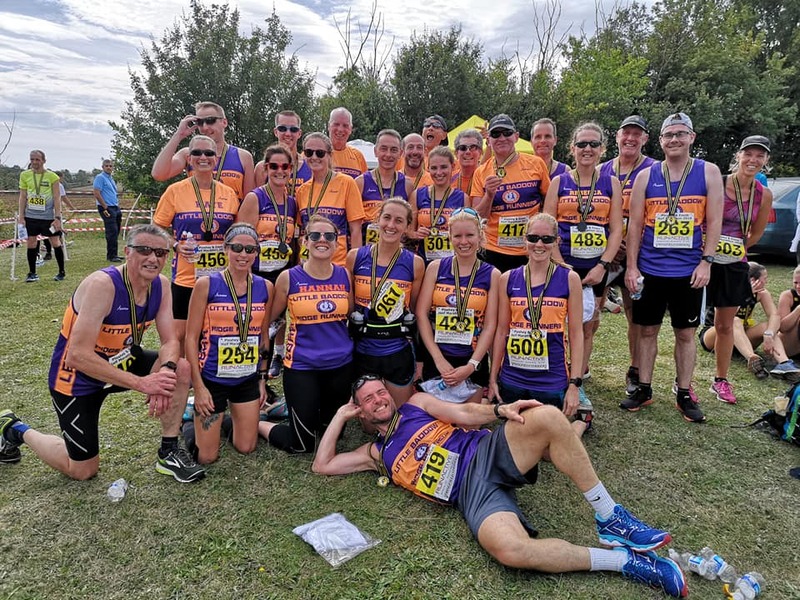 We are a small, sociable mixed gender and ability off-road running and walking club based in Little Baddow near Danbury in Chelmsford, Essex. Little Baddow is close to Danbury hill, one of highest points in the county of Essex, so there’s lots of testing terrain! Despite its rural location the club is just a short distance from the city of Chelmsford and the towns of Maldon, South Woodham and Witham . If you enjoy cross country then our club is ideal. If you’ve never run off road, then give it a try. There’s less impact on your joints and the scenery is far more interesting. We find most people quickly become converts! The running club meets twice weekly; on Tuesday evenings at 7.30pm (winter runs are on the road due to the light) and Sunday mornings at 9.30am. Runs usually last for about an hour, taking in the countryside that Little Baddow, Danbury, Bicknacre, Woodham Walter and surrounding areas have to offer. For before and after your run, we share a clubhouse with the local cricket team which includes changing and showering facilities as well as a kitchen for post-run tea and biscuits. During October to March we take part in the mid-Essex cross country league. The league is of mixed standard with elite runners right through to complete beginners. There are around 5 to 6 races organised by member clubs including our own home fixture in Little Baddow. We take part in a selection of trail races throughout the course of the year including our own trail event over the Easter weekend – part of the 4 race Easter “Eggstravaganza” arranged by a group of local clubs. If you also enjoy road running then some members choose to participate in organised events including 5 and 10ks, half marathons and marathons. The walking group meets at 9.30am on Sundays and walk for approximately an hour along the footpaths and bridleways of our local woodland and along the Chelmer and Blackwater canal nearby. All runners are welcome to join the walking group perhaps when enjoying some time off or recovering from injury. If you are interested in joining the running or walking club then feel free to get in touch to arrange turning up and joining us for a run or walk. If you would like any further information then please look at the join us section of the site which includes a downloadable membership form.